First visit to curbside and man was it good! I had the carrot cake cupcake. Nice and moist with a good amount of cream cheese frosting. Gave the icing 2 stars. There was nothing lemony about this cupcake. It was hard, dry, and I wanted to give the benefit of the doubt and say it had been frozen and thawed, but having done so and having my cupcakes come out still moist, couldn't lay that claim. The icing was very tasty, not too sweet and an overabundance of it for such a small cupcake. Won't be returning for more. Just simply did not like the cupcake. It was burnt and terrible. My co-workers and I were very displeased. Cupcake was okay. It was way to small to cost $3 though. I've had several cupcakes from them and always they were OK but not great. The last one I got was dry and crumbly, and the frosting had been refrigerated and was tasteless. A disappointment! I've had shakes from them at Truckeroo and they were good, though. 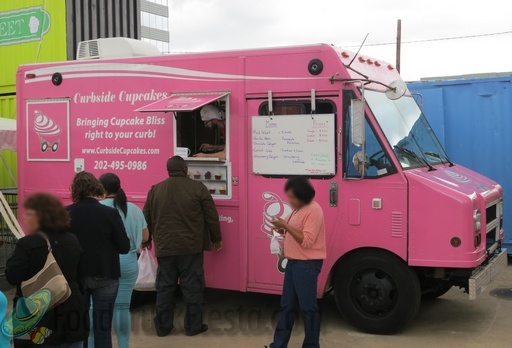 Curbside Cupcakes is the most popular cupcake food truck in Washington, DC. 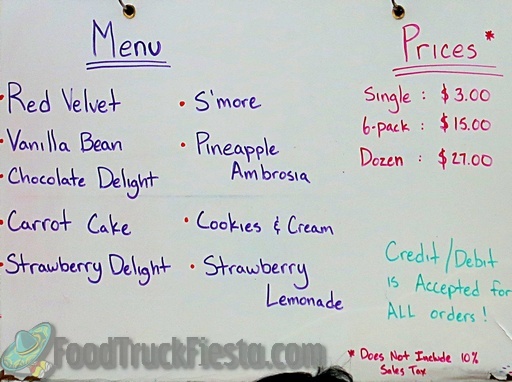 With their three food trucks, named Pinky 1, Pinky 2 and Pinky 3 (launched June 7, 2011), they visit several locations throughout the day serving hungry Washingtonians that are seeking dessert.